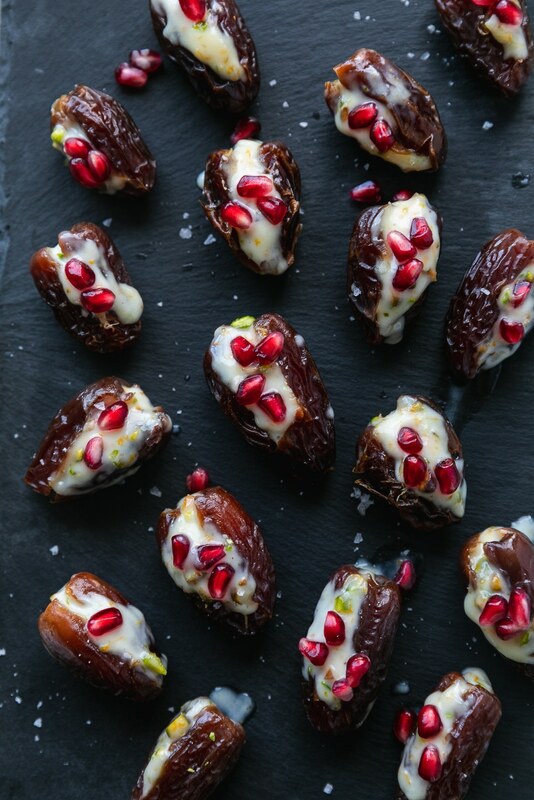 These Mascarpone Stuffed Dates with Orange, Pistachio, and Pomegranate are the perfect light dessert or appetizer! They make a great addition to a cheese plate during the holidays, and they’re super easy to make! I love to finish them with a little flaky sea salt for that sweet + salty flavor! 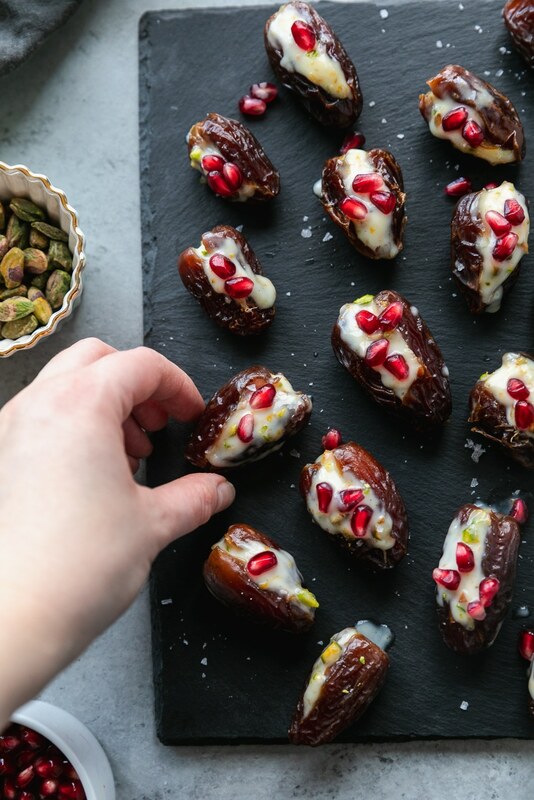 I’ve made bacon wrapped dates as an appetizer several times and they’re absolutely delicious, but I love these even more. I couldn’t stop eating the filling when I was making them! The combination of creamy mascarpone cheese, orange zest, salty pistachios, (and a little extra flaky sea salt for good measure) is just incredible. 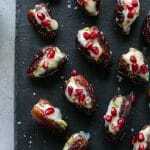 And when you stuff it inside the juiciest dates, and add little pomegranate jewels on top? Game over. 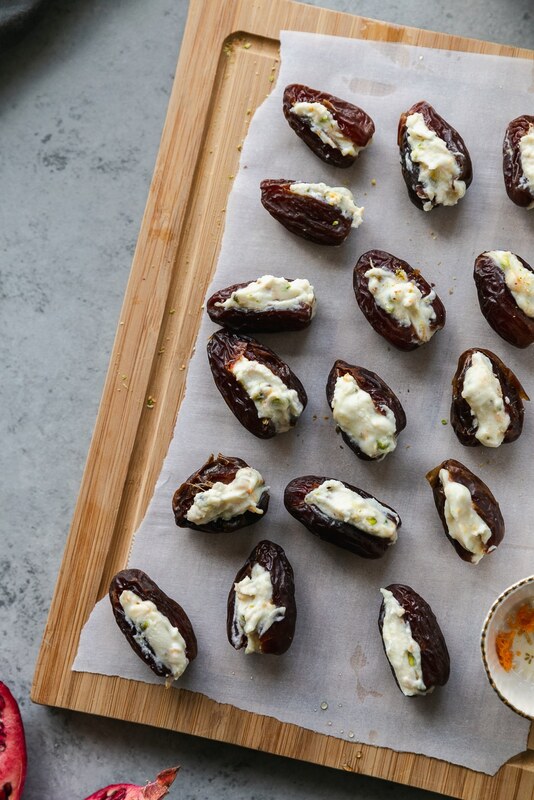 These are the easiest appetizer EVER, or even dessert! To be honest, I’d rather have these and a cheese plate for dessert. I’ve never been a huge dessert/sweets person. These are the most perfect amount of sweet, and the saltiness from the pistachios and the flaky sea salt at the end really makes them next level. So if you’re a non-sweet dessert person like me, you will loooove these! 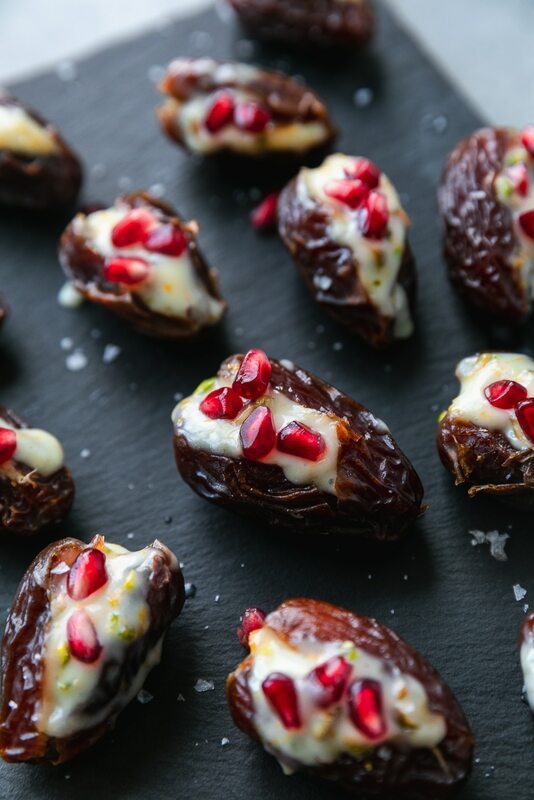 The fresher your dates, the better these will be. You want to buy medjool dates, which are my favorite, and they’re the best for stuffing because they’re bigger! My goodness this mascarpone mixture. I don’t even know where to start. It’s INSANE and all I wanted to do while making these was eat it with a spoon! 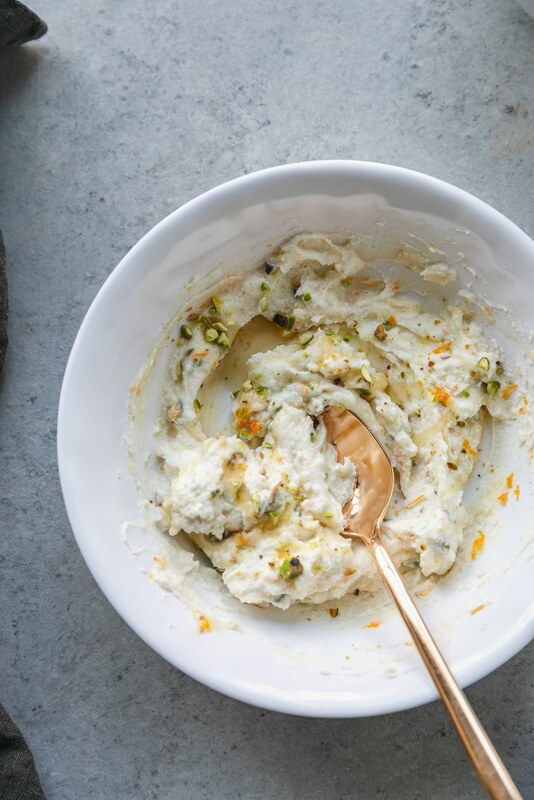 Mascarpone, honey, orange zest, and salty pistachios are seriously magic together. 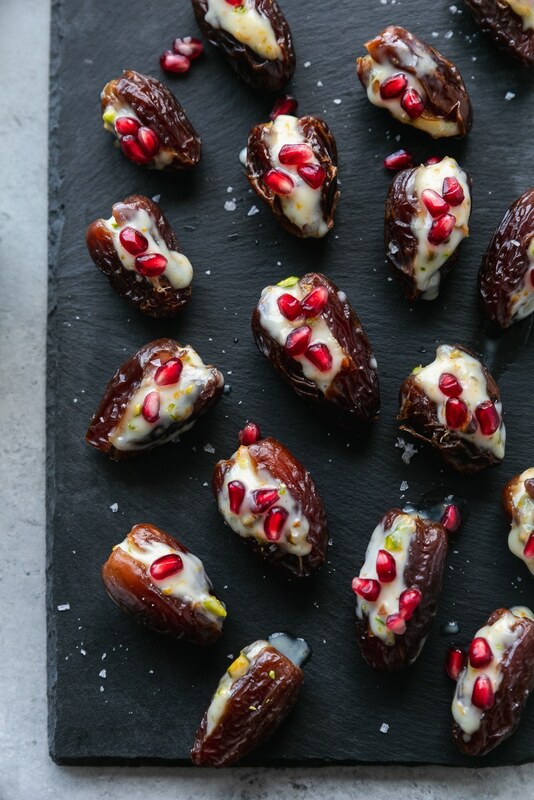 The key to making these is to stuff the dates with the mixture, and then freeze them for 10 minutes or so before you bake them. 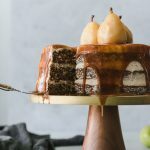 You literally only bake them for 3-4 minutes just to warm them through, or else the mascarpone will ooze out of the dates and melt everywhere! I found that the easiest way to stuff these was with a baby spoon, but a regular spoon will work fine, it just might get a little messy! And the very last touch, is to add little pomegranate arils on top. The most gorgeous holiday jewels that I have a hard time not adding to everything this time of year. Kind of like my obsession with blood oranges. 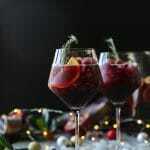 Definitely making these on Christmas Eve to add to a cheeseboard! 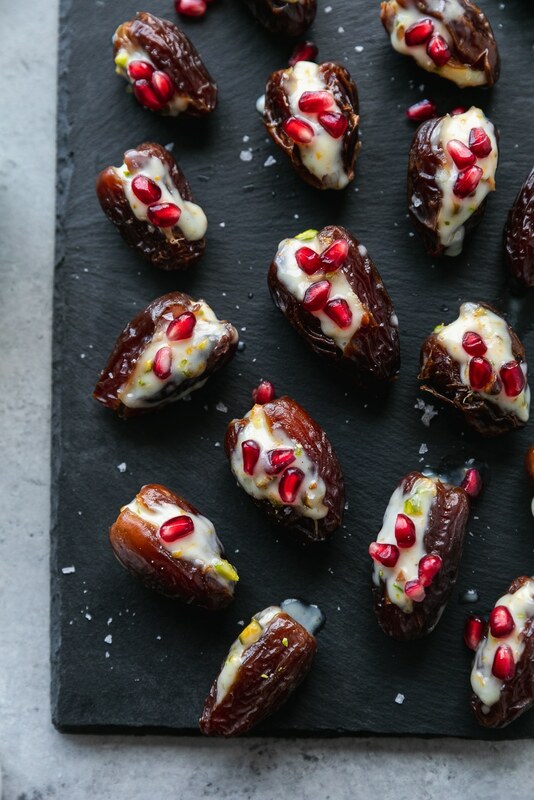 These Mascarpone Stuffed Dates with Orange, Pistachio, and Pomegranate are the perfect light dessert or appetizer! They make a great addition to a cheese plate during the holidays, and they're super easy to make! I love to finish them with a little flaky sea salt for that sweet + salty flavor! Preheat oven to 375℉. Remove the pits from the dates, leaving one side intact so you can stuff them. 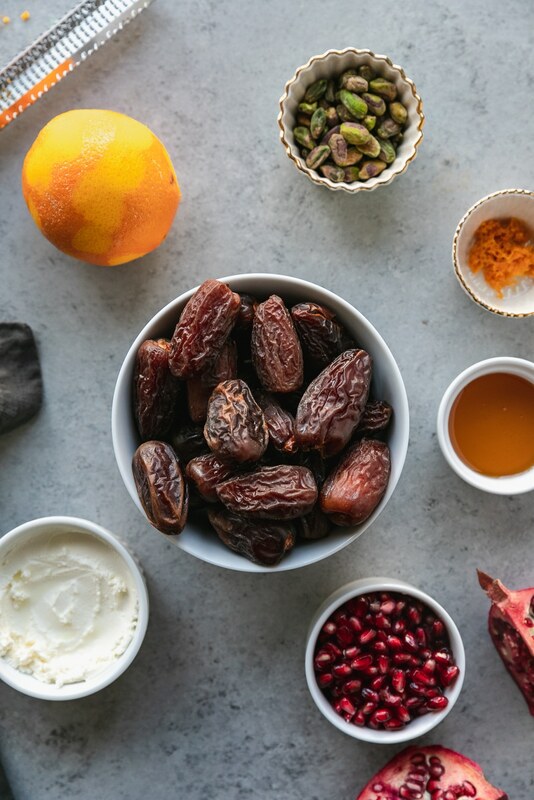 In a medium bowl, mix together the mascarpone, honey, orange zest, pistachios, and salt until smooth and combined. 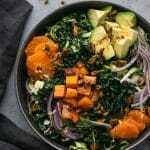 Place dates on a baking sheet and bake for 3-4 minutes, until dates are just warmed through. Garnish with pomegranate arils and a sprinkle of flaky sea salt. Serve immediately!